Year 4 are currently enjoying our Take one Book unit focussing on the story by Laurence Anholt "Stone Girl, Bone Girl". This book tells the story of the life of Mary Anning who famously found some of the first prehistoric fossils. We hope to enjoy producing some varied writing as a result of reading this text. This will include play scripts, diary entries, explanation and persuasive writing. In Math,s the children have just begun a unit on fractions. We have been exploring counting hundredths, mixed and improper fractions and will move on to calculating fractions of amounts. Some children will also be given opportunity to extend their reasoning skills with problems solving challenges. Please continue your regular practise of Times table Rock Stars. It is making a real difference to the children's ability to recall their multiplication facts. In Science, the children have exploring the properties of solids, liquids and gases. Here are Birch class trying to see if air has weight. Birch class behaving like the molecules of solids, liquids and gases. A separate email has been sent home with information about this week's homework. Just a reminder that all children should have a warm coat in school as the weather has really turned very cold and the children are outside for long periods. We hope that many of the children will be able to make the Christmas Fair this weekend. It sounds as though it will be an exciting event. It has been a great couple of weeks back after the half term break. Year Four have been working hard and very enthusiastic towards their learning. In English we have started a unit on persuasive writing. The children have just completed some excellent letters persuading a team of exterminators to rid the local community of a terrible troll that is causing great distress to Billy Goats Gruff and his family. They produced some incredibly creative and persuasive letters, they should be very proud of their work. Next week, the children will be writing a persuasive letter based on our Creative curriculum topic on coastal defences. In maths this week, the children have been practising their skills with multiplication and division, exploring different methods for solving calculations efficiently. We have been focusing on multiplying or dividing a 2 digit number by a 1 digit number or possibly a 3 digit number. The method we have been using this week is partitioning which will lead into more formal written methods later on. It has been a very exciting start to our new science unit: states of matter. The children have been investigating different materials and deciding if they are solids or liquids, whilst coming up with some very interesting questions of their own! Year 4 assembly rehearsals are well under way and it is great to see so many children keen to learn their lines already. For homework this week it would be very helpful to keep practising their lines and the song lyrics (see below) in preparation for the assembly on Friday the 17th of November. 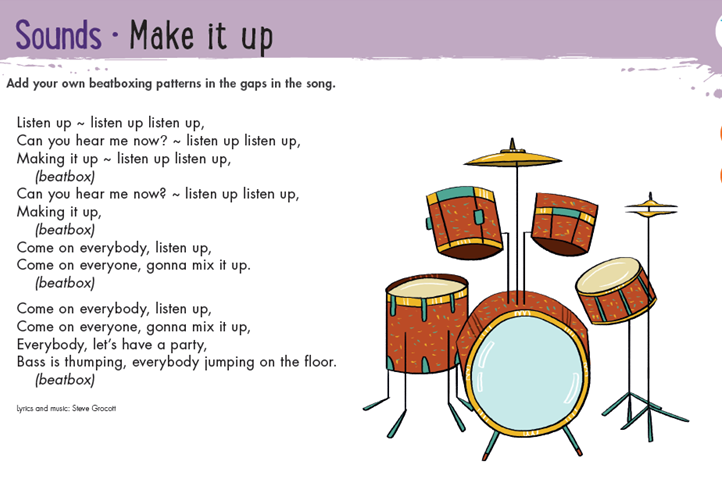 Just a reminder that Times table Rockstars needs to be regularly used at home. The children are set 4 garage sessions for the week and should be encouraged to complete them. If you have any issues with accessing the site please do let us know. We will be starting an Art project based on the book Stickman by Julia Donaldson in the coming weeks and all children will need one toilet roll and one kitchen roll. We would be very grateful if you could send your child in with these ready to be used on the 20th of November. Have a lovely weekend and we look forward to seeing you for the class assembly on the 17th.